Over 150 years ago lightbulbs were first invented. This dramatically changed how we use energy and design buildings. It also lengthened workdays, jumpstarted new businesses, and created new energy breakthroughs (e.g. power plants, electric transmission lines). This was the work of more than one inventor. In fact, many inventors have worked together to light the way throughout the years. Thomas Edison patented the first incandescent lightbulb in 1879. Before that time (c. 1835) British inventors had already created the arc lamp. When Edison created his first bulb the British were still tinkering with this lamp’s filament and atmosphere because they were too expensive to use for producing much energy. However, he didn’t stop there. Instead, he created many other things that helped make it more practical for us to use lightbulbs. 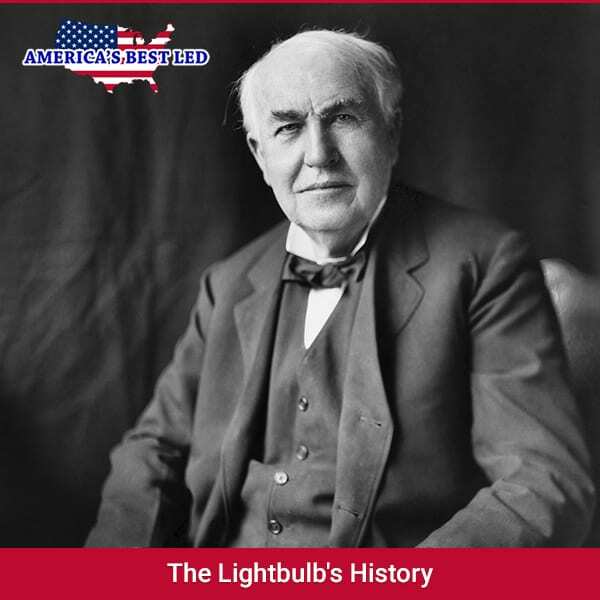 At the same time, other inventors were still making small advances including creating tungsten filament bulb in 1904, carbon filament bulbs in 1913, and improved incandescent bulbs by the 1950s. Heinrich Geissler and Julius Plucker invented the Geissler tube in the 19th century. These discharge lamps grew popular in the 20th century. While Thomas Edison and Nikola Tesla experimented with fluorescent lighting in the 1890s, Peter Cooper Hewitt created the first fluorescent lamp in the 1900s. Neon tube experimentation started in the late 1920s, but it wasn’t until the late 1930s that fluorescent lights were first demonstrated at the New York World Fair. The 1973 oil crisis led to the development of a fluorescent bulb that had residential applications. Compact fluorescent lighting initially faced many obstacles, which is why it took almost 30 years to become affordable for the average American. When LED lighting was created it was praised because people believed it would improve and revolutionize the entire lighting industry. Today, we know this is true since we no longer need reflectors or diffusers thanks to having very small semiconductors being used in what’s the most efficient lighting available today. Of course, the journey to get us to this point took some time. The journey started in 1962 with Nick Holonyak Jr. inventing the first LED light while working for General Electric. This LED lighting only consisted of red diodes, but yellow and green were created next. As this happened, they started being used in indicator lights and calculator displays in the 1970s. It wasn’t until blue diodes were discovered in the 1990s that white LED lighting became available in the 1990s so that these lights can now be used in traffic lights, flashlights, and TVs. Although this was a major advancement, it still wasn’t until 2000 that LEDs became an option for general lighting because they needed to become more efficient first. Of course, there were other advancements that also needed to be made along the way – including making these bulbs more affordable for everyone. Most of today’s lighting is outdated. This is why we’re slowly watching LED lighting replace incandescent lighting fixtures that date back to the time of Thomas Edison. Doing so will save you a lot of energy, but it isn’t the only change we’re witnessing in this regard. With the understanding of how lightbulbs came to be and why LED lighting is a better choice today, you may want to consider changing all the lighting in your home over to it. If this is interest to you, make sure you contact America’s Best LED so you get the help you need.